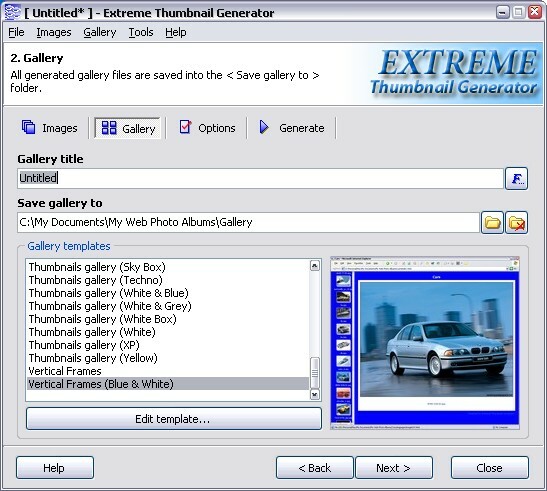 Extreme Thumbnail Generator is gallery creation software for Microsoft Windows 98/ME/NT/2000/XP/2003/Vista/7. It is designed to help you create web photo galleries with just a few mouse clicks and publish them on your website via FTP. All you have to do is add your digital photos, select a photo gallery template and let Extreme Thumbnail Generator do the rest of the job for you! Download and try web photo gallery creation software now! 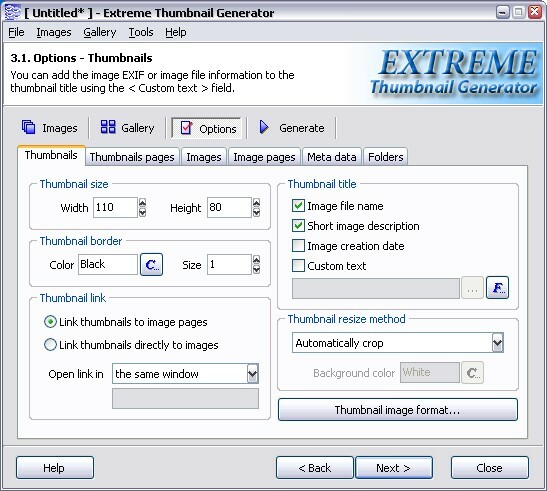 To advanced users Extreme Thumbnail Generator offers many web photo gallery customization options. You can change the size of the thumbnail images, resize and optimize for web your full-size images, add text or logo image to all images in the gallery, automatically add image EXIF information to the gallery pages, import image descriptions from a text file and many, many others! So do not wait another minute! Download and try the web photo gallery creation software now. It is absolutely free to try! 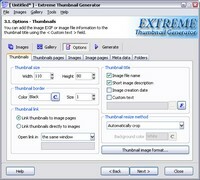 More information about Extreme Thumbnail Generator is available on the official product page. Also you can check out the step-by-step instructions on how to create your first web photo gallery with Extreme Thumbnail Generator or see it in action in the short interactive tutorial video (flash player is required).